2019 Kim Miller Scholarship Recipient, Claire Ermer (TTA) with Krista Karwosky and Judy McGowan. Kim Miller was an athlete on the Hamden Heronettes Synchronized Swim Team from 1994-2005. She was a dedicated teammate and role model. In 2001, after returning from U.S. Opens in Hawaii, Kim was diagnosed with a rare form of bone cancer. She underwent chemotherapy and surgery to replace part of her femur with a titanium rod. Kim continued swimming and competed in the 2002 ESynchro Age Group Championships in Federal Way, Washington only 6 months after her surgery. She went on to swim on the collegiate level at Millersville College in Pennsylvania. In the midst of her freshman year, the cancer returned. In May of 2005, at the age of 19, Kim lost her long battle with bone cancer. 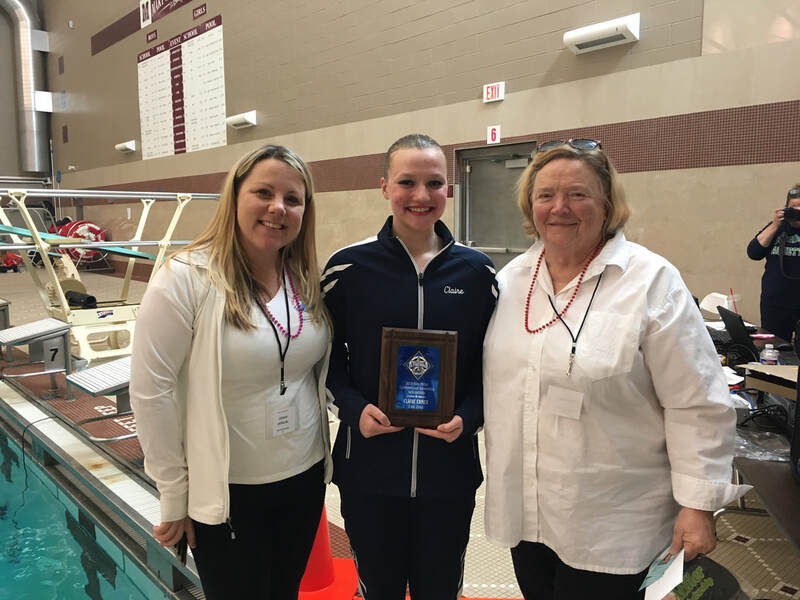 The Kim Miller Synchronized Swimming Scholarship was established by Teena Griggs and Krista Bessinger to insure that the memory of an incredible athlete and teammate be remembered and at the same time help support the continuing career of a synchronized swimmer in the East Zone on the collegiate level. Apply for the Kim Miller Synchronized Swimming Scholarship. Applications are being accepted for 2019.